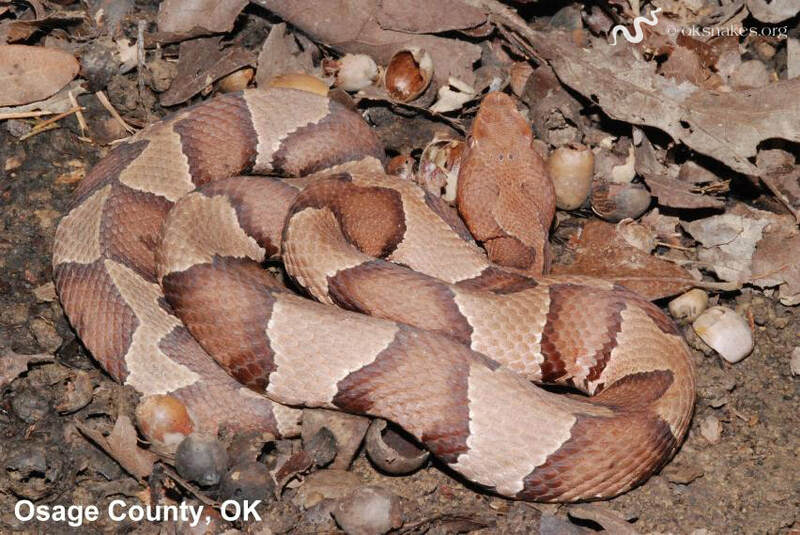 Note: Oklahoma used to have 3 subspecies of copperheads but recent genetic and taxonomic work now has them listed as 2 distinct species - eastern (Agkistrodon contortrix) and broad-banded (Agkistrodon laticinctus). They look similar enough to include together on this ID page, so that's why there is only 1 copperhead entry at this time. Mostly small rodents, but also feeds on lizards, frogs, and some insects (mainly cicadas). 8 - 10" (20 - 25 cm) long. Woodlands and rocky areas near streams and ponds. Newborns have a yellow tail tip that they use as a lure to catch prey, however they lose this tail coloration as adults (see photos above). 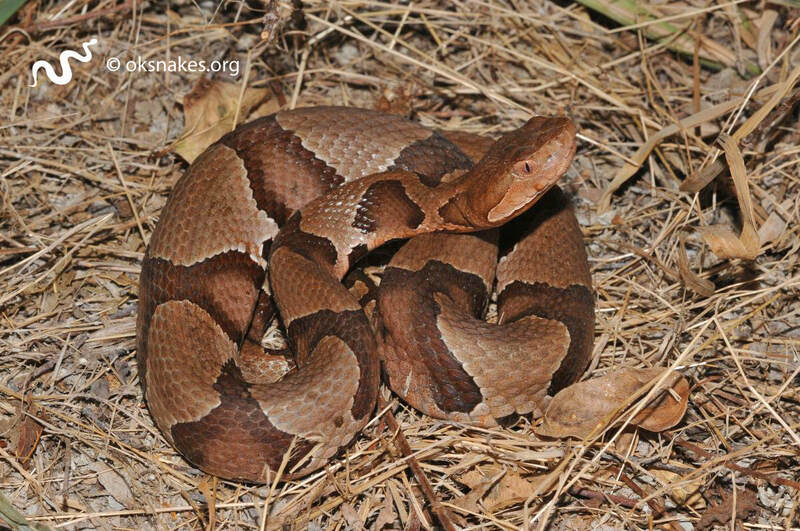 These snakes bask in the mornings and retreat to shelter during the heat of the day, coming out again in the evening. Copperheads are commonly found near rock piles, logs, and other debris, using them as cover and also as a hunting ground. 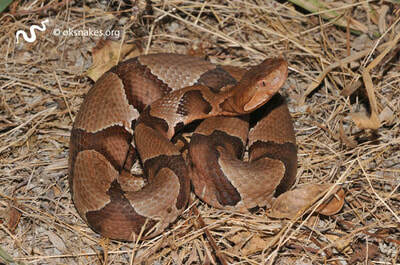 Their coloration allows them to blend in well with leaf litter.